Investigators have determined that a 35-year-old north Florida man and his 15-year-old son ran out of oxygen and died while diving the Eagle Nest Sink cave in Hernando County on Christmas Day. The bodies of the father and son were found just hours after they went diving. A sheriff’s office investigation found the father and son died accidentally after diving to 233 feet and using air alone in their tanks. According to reports, the men were not certified divers. Experts claim the duo should have used a trimix combination for their breathing instead of just air and shouldn’t have gone deeper than 218 feet due to possible toxic effects. Investigators believe the pair lost track of time. Scuba diving accidents can result in a wide range of serious and catastrophic injuries and even death. Underwater explorations can be quite dangerous. 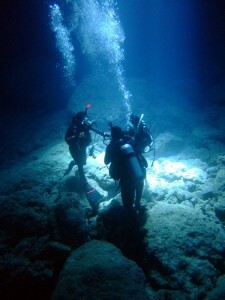 In fact, every year, more than 70 divers are killed in scuba diving accidents and hundreds more are injured worldwide. Divers can suffer all types of injuries from neurological harm, including brain damage due to anoxia or asphyxia, type I and type II decompression sickness, air embolisms and drowning. A Hernando County Drowning Accident Attorney at Whittel & Melton can help you determine if negligence played a role in your loved one’s diving tragedy. We know how hard it can be to lose someone close to you unexpectedly as well as the financial burdens that tend to follow these misfortunes. We can investigate the events surrounding your loved one’s death and help you pursue a claim for monetary compensation when possible. For a free consultation, call our Hernando County office at 352-666-2121 or contact us online.